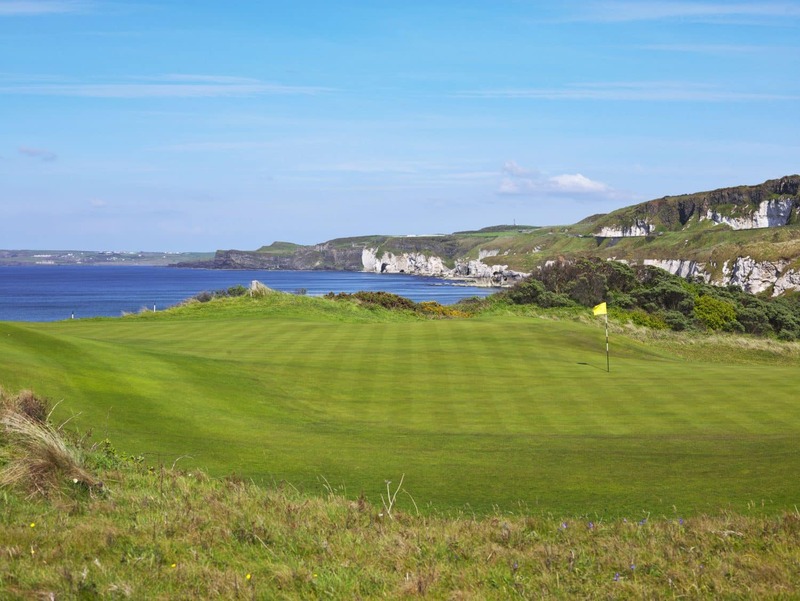 Ireland’s southwest has become a standard on any wandering golfer’s bucket list, thanks to courses like Ballybunion, Tralee, Lahinch, Old Head, and Doonbeg. (The most thorough travelers add Dooks and Ceann Sibeal to their lists.) But rarely do Americans recall any more fondly than Waterville on the Ring of Kerry. Maybe it’s the way the long sunset kindles Waterville’s sands, or the wind finds your back more often than you would expect. Maybe it’s that they arrive on a course with distinct and generous fairways that remind them of home, with a soft opening hole (called “Last Easy,” in case you thought you wouldn’t need the rest of the balls in your bag), and a statue of a relaxed and smiling Payne Stewart. Or maybe it’s a Yankee favorite because there is genuine American love and sweat in the Waterville dunes. The original nine holes—laid out in the latter part of the 19th century for the men working on the transatlantic cable—fell into disrepair and into memory until an American named John A. Mulcahy came to Ireland in the 1960s and set out to make Waterville Ireland’s top golf destination. In order to do so, Mulcahy enlisted the help of two men: Masters champion Claude Harmon and the author of Ireland’s links legacy, Eddie Hackett. Harmon was then the head pro at Winged Foot where Mulcahy played. 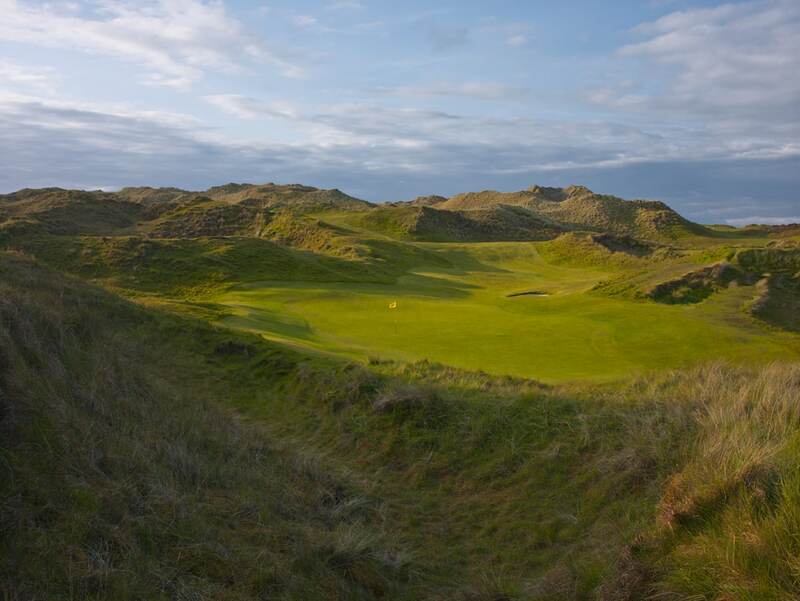 Hackett was the unassuming genius behind stunning Irish layouts like Enniscrone, Carne, Connemara, and Murvagh, designing his courses by spending weeks watching the landscape and plotting a path through the dunes, sculpting not by bulldozer but imagination. On the Ring of Kerry he, Harmon, and Mulcahy created a masterpiece, and with a recent update by Tom Fazio, it is clear why Americans speak so much of this course upon their return: Links holes can stick in one’s memory, but at Waterville, they come back in your dreams. Surrounded by water on three sides, the dunes at Waterville feel more like a playground than an obstacle course, with gentle fairways winding through the sand hills and surprising players with some of the best vistas in golf. Few views are better than the tee on the par-three 12th, measuring 200 yards from the back. 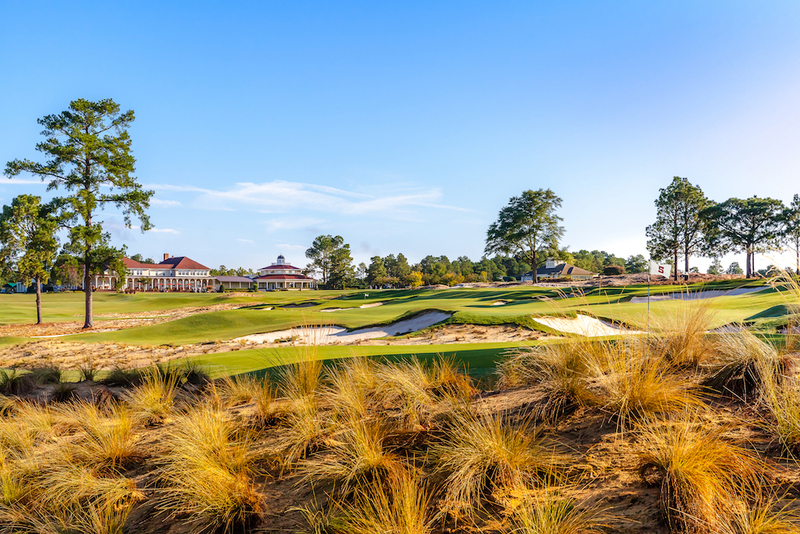 Players hit over a deep pit of soft green to an elevated pin that seems stuck into the side of a distant and hulking dune. Number 12—called “The Mass Hole”—is the only hole in golf where, should you come up short, you can direct your outburst at God and be correct in your accusation: Hackett originally designed the green to be set in the hollow in front of the green, but workers refused to build there because Catholic mass had been celebrated there during the penal times when the faithful were forced to hide their ceremonies in the dunes. Hackett conceded to the workers’ wishes, and the hole went from a blessing to a battle. 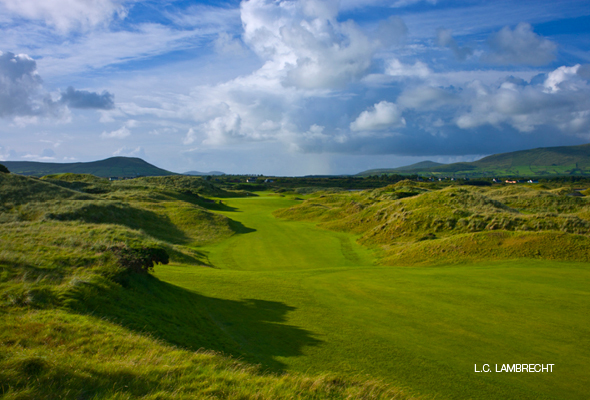 The finish at Waterville is one of Ireland’s most memorable. 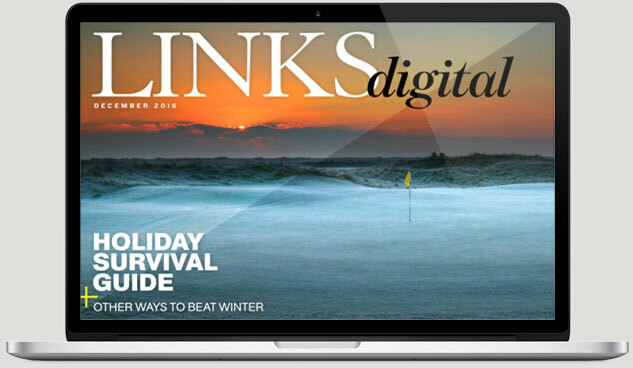 Sixteen—dubbed “Liam’s Ace” for the long-hitting head pro, Liam Higgins, who once double-eagled the par four—winds along the tip of the beach and turns out to the ocean, a treasure of a crooked short hole. The highest point on the course awaits you and your camera on the tee of the par-three 17th (above). 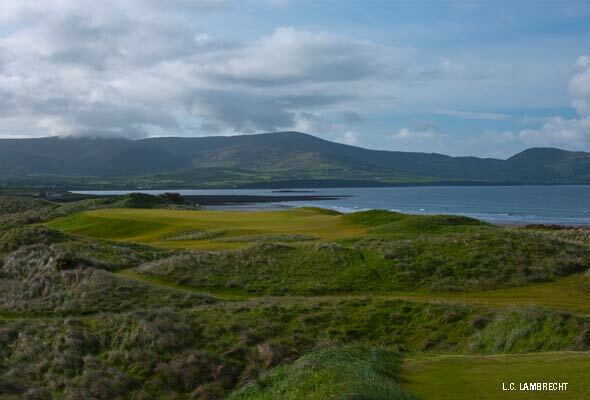 Then the course stretches back for a long walk home down 18 along the Waterville strand, before you settle into one of the best post-round perches in Ireland, Waterville’s simple and perfect 19th hole, lit by the sunset with views of golf and sea on all sides. Philadelphian Tom Coyne is the author of A Course Called Ireland. What Makes a Great Match-Play Course?